Next week, on May 17th, the blog will be one year old. The blog has taken the largest part of my time for the last year; so this week I’m thinking about why I write it and where to go from here. I’ve always looked at all of life – work and play – being woven together into a seamless piece. Taking life so seriously made for some pretty intense play as a little kid. My poor teachers and parents. I do laugh a lot, but I always had this notion that everyone and everything in life is significant to God. When I became a Christian, I worked hard to serve God in every way I could find. As I grew in faith and read the Bible, I was greatly relieved to learn that God is in control. I’m so glad He’s not counting on me to make things turn out right. Every moment and every person still has great value to me – it is just without heaviness of pressure to perform. Still, to me, life is a seamless piece. If our lives are not divided up into little compartments, then we do not have a religious character and a business character and a home character. We are just us. As far as I can tell, God loves you for you anyway – not for what you can do for him. If we matter to God, then all of our lives matter. He is not more concerned with what we do on one day than another. And preaching sermons is not more important work than changing diapers or cooking dinner. 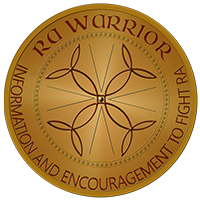 Maybe you noticed the new badge on Rheumatoid Arthritis Warrior for the High Calling Blogs Network. This quote from their website expresses their perspective: “Our work itself should be a testimony to our creator. At HighCallingBlogs.org, we encourage each other to remember the high calling of our daily work.” I’m hoping to be inspired by reading some of their blogs and hopefully some of their other members will learn about living with RA from reading RA Warrior. You do a wonderful job serving God in your daily work. I admire your skills, dedication, and selflessness. I’m sure glad you started your blog just a few months before I was diagnosed. What a blessing for me. You reminded me today that God is in control and I should depend on him more than I do. How easy that is to forget when we get caught up in our worries. Loved the song. Without the support of a loving husband and God’s love I couldn’t have made it through the past seven years with RA. Thanks for sharing Kelly. You write it, because somebody needs to put the information out there. You write it, because it gives a voice to thousands who are struggling to accept & live with RA. You write it, because it is a form of therapy that helps you to cope. Most of all, you write it because you are a writer. You were called to this vocation and this blog. Don’t fight it! Think of the good that you have accomplished. Julie, This was a great encouragement to me. Thank you. Love how you remind us to not compartmentalize and how all of life is important. 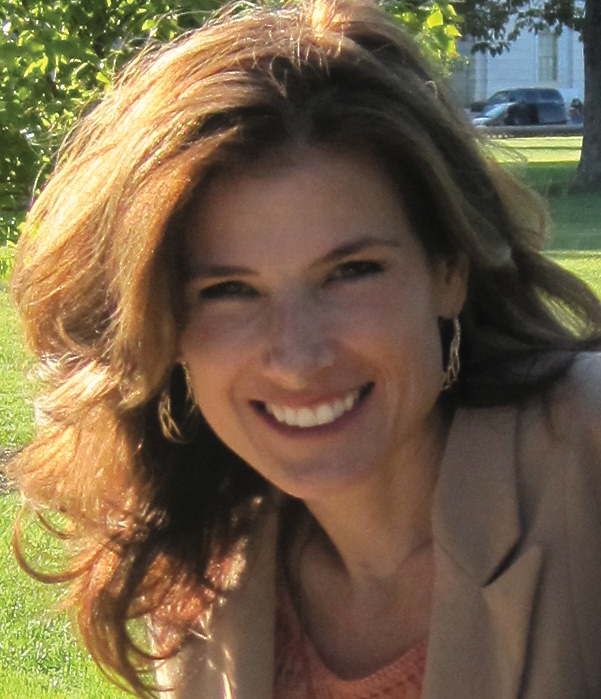 You’re a great addition to High Calling Blogs! Thank you so much. I feel there is so much to learn. What an incredible blessing to find this web site and blog. 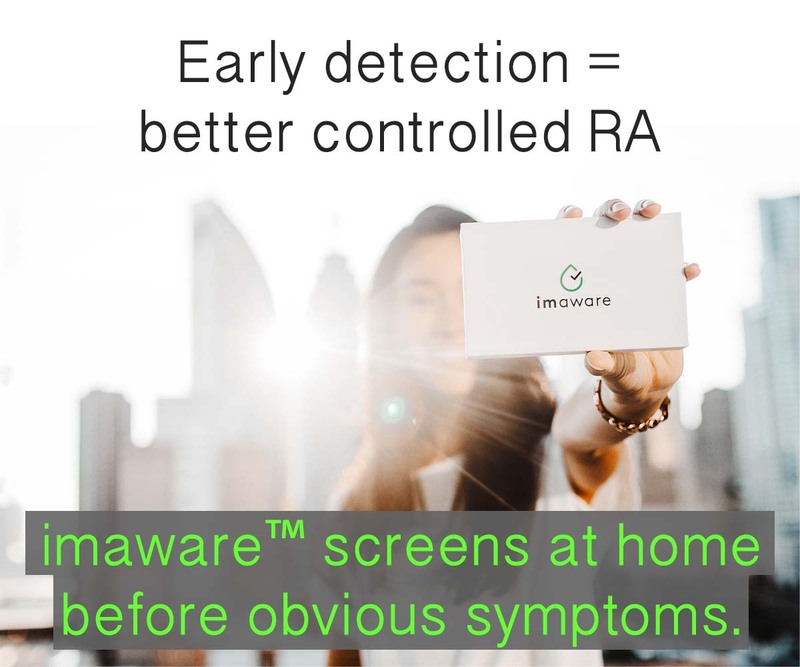 I was diagnosed with RA last Dec. I have been taking MTX and prednisone since then. This past Feb. I started the Enbrel injections. I have now taken 10 does and I am still struggling to move much. This site has already help me deal with my desire to exercise but not wanting to hurt and when I read about not feeling morning stiffness I was so relieved because I don’t. I will be reading everything on this site. If feels good to have this support. It is also such a relief to read about dealing with RA from a Christian view point. I am glad that God is in Control and I am not. Thanks. You said “it feels good to have this support…” It feels good to me too to hear such encouraging words. Who we are when happy is the same person we are when suffering too. And God is there in all these instances. Still something I’m working on grasping. Thanks, Jen. That makes me think of Jesus – the same yesterday, today, & tomorrow. Of course we can’t do exactly as he does, but it’s still reality. What’s that old saying? Knock a cup & what spills is what was inside.